Materials: Pine sides and legs with perforated PVC plastic bottom. Finished with an outdoor stain/sealer. Weather resistant. 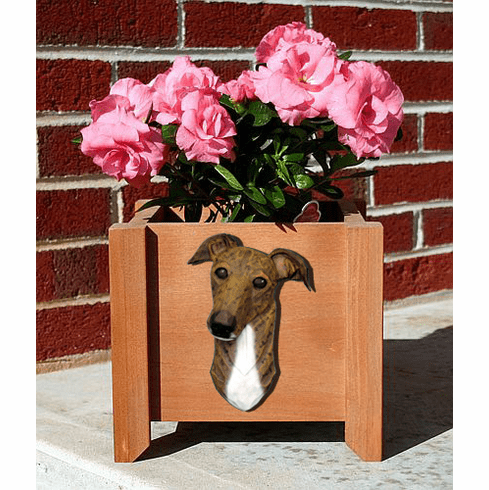 Single hand-painted 2-dimensional breed head included. Holds up to 4 heads. Suitable for indoor or outdoor display. Overall dimensions: 9-1/8" x 9-1/8" x 8". Inside dimensions: 6-3/4" square. Flower not included. Made in USA.